Team Associated RC Cheat Sheet App V2 « Big Squid RC – RC Car and Truck News, Reviews, Videos, and More! I’m a bit of an Apple fanboy. This isn’t new news. 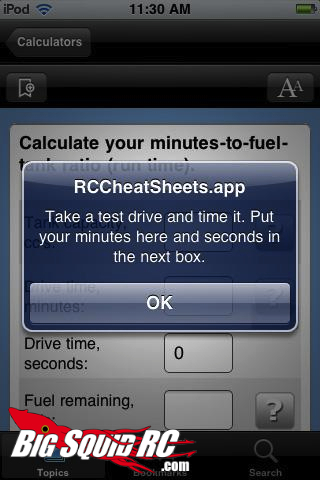 However, Team Associated does have some new news in the form of an update to their RC Cheat Sheet App for iPhone/iPod Touch! New with version 2 comes pit time charts used by the AE race team, enhanced gear ration calculators, and the app now includes the newest Team Associated models like the SC10 4×4 and SC10 RS! Sweet! There are a ton of other features as well for just $2.99. Already own the app? The upgrade is absolutely free! Make sure you hit up iTunes Store to get the app, or the Team Associated website for more info!